Established in the year 1958, we, “Inder Industries”, are an ISO 9001:2008 certified manufacturer, supplier and exporter of the market engaged in offering an extensive array of Universal Pipe Stands, Tools & Reamers. Some product are Safety Guardrail Fittings, Pipe Wrench and Drilling Machine. Inder Industries is a pioneering manufacturing company specialized in Plumbing Tools, Pipe Threaders, Cutters, Vices, Pliers, Striking Tools, Spanners, Drain Cleaners, Pipe Benders and other hand tools. We have equipped our manufacturing unit with technologically advanced machinery, which help us develop a range of defect free products for the clients at a faster pace. Our experts make sure that all the machines installed in the manufacturing unit are overhauled and up-graded time and again as per the technological advancements. This helps us ensure uninterrupted production process. Our modernized packaging departments help us pack our manufactured products in most protective materials. This enables us to ensure safe delivery of sustained quality products to the clients. Our quality controllers remain vigilant in the entire manufacturing process, in order to ensure maximum benefits to the clients. Moreover, through our well established distribution network, we are able to timely deliver ordered products to the clients. Our company under the able and experienced guidance of our mentor, 'Mr. Sunil Chatrath / Mr.Kamal Kishan'. His regular motivation and constant guidance has inspired us to perform our best of our organization to greater heights of success. 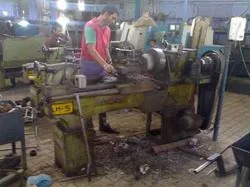 We export these products in the markets of East Asia, Middle East, East Europe, Indian Subcontinent and Central America. Further, we offer these products to our clients in both standardized and customized form as per their specific needs and demands. Being prominent manufacturers, suppliers and exporters, we keep quality as the epitome of our operations and thus manufacture a quality assured range of Products. We have implemented total quality management practice in our operations in order to remain abreast with industry norms and standards. In addition, our quality controllers test the entire range at each and every level of production so as to ensure its durability and reliability. Being quality-conscious organization, we do not compromise with quality of our products at any cost. We strive to develop a range of immaculate products for the clients that are in complete compliance with prescribed industrial guidelines. For this, we practice rigorous quality control system in our business related process. Our team of expert quality controllers examines the quality standards of products at each stage of production process, in order to ensure delivery of flawless products. Our advanced and robust infrastructural facility helps us address the varied demands of our clients in most appropriate manner. We have installed technologically advanced machines in our manufacturing unit, in order to produce a range of world-class products for our clients. The hi-tech machines outfitted in our packaging department help us pack our products in most protective materials. We endeavor to provide exact products to our clients as per their specific demands, in order to render maximum satisfaction to them. 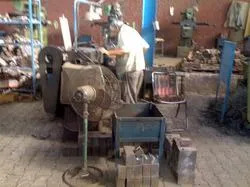 Our manufacturing process is carried out employing modern production techniques and quality tested materials that are sourced from the reliable market vendors. The products supplied by us are timely delivered to the clients through our reliable distribution network. Our substantial industrial experience and ultramodern manufacturing facilities are the two important factors that are responsible for our consistent growth in this cut throat market scenario. We are able to win the trust and confidence of our valued clients by supplying best customized products to them as per their exact demands.